Brian Heasley shared with us some of his heart and stories of fruitfulness and development in the international movement of 24-7 Prayer. 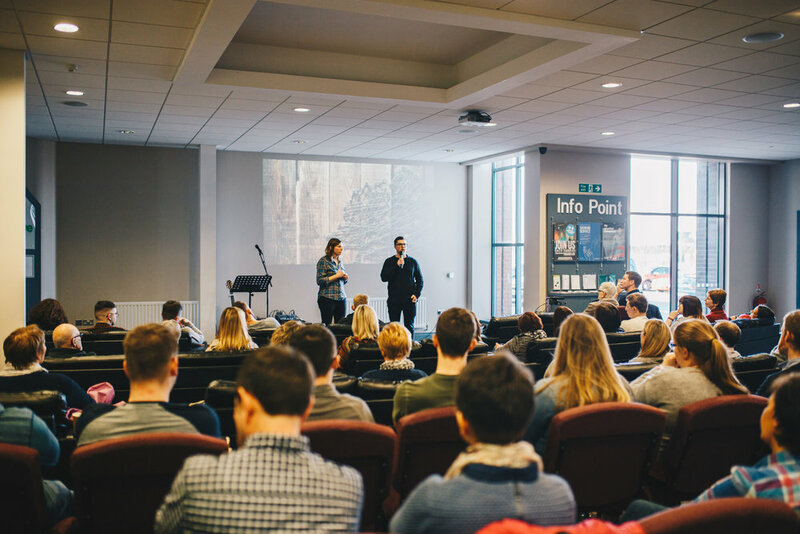 Over the course of the afternoon, we were all deeply encouraged as we began to see some of what the Lord is doing in Ireland as the Church rallies in prayer and the pursuit of His presence. The stories of churches in towns and villages praying and fasting over Lent; running 24-7 prayer rooms and people encountering the heart of Jesus and the presence of the Lord there. We heard unfolding stories from the Methodist Church in Ireland as they mobilise an entire denomination in a Year of Prayer, re-catalysing and re-prioritising prayer in the life of the church. There were powerful stories of children and young people expressing hopes, dreams and struggles, and considering Jesus’ love, presence and peace in Prayer Spaces in Schools around the region. And we heard stories of the passion, zeal and hope rising up in a student movement across university campuses in the region to worship and to pray, to seek God’s face on behalf of campuses, cities, a nation and ultimately a generation - their own peers. And it was incredible to hear the news of communities being affected with the love and grace of Jesus overflowing from the Boiler Rooms in Dublin and West Belfast. We spent the evening gathering corporately to celebrate and to add our “Amen” as we worshipped and prayed. Poring over maps of Ireland, praying for the “more” that we long to see in this time and place. The battle cries. The rally cries. The sound of hearts aligning with the Father’s. In times when it’s easy to get caught in a sort-of tunnel vision, struggling to see the woods for the trees, aware of all you’re contending for and with, it is so good to realise the prevailing, unfolding God-narrative all around us. Each and every story plays a significant part. And as we turn our hearts toward the Lord, as we seek His face and pray, He hears and responds. He is here. And He is moving.